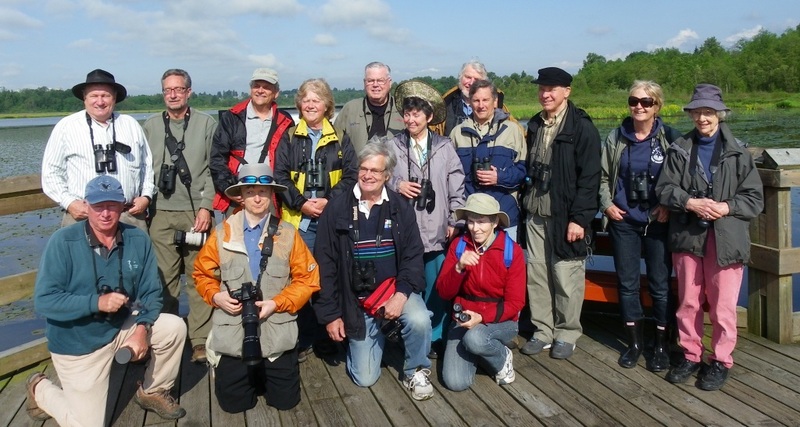 Fifteen participants (Rick & Marg, Ken & Anne, Roger & Lorna, Hans & Eleanor, Mike & Terry, Anne, Paul, Jim, Ron and me; Wow, big group) enjoyed a beautiful Wednesday morning of birding on an “away trip” to Roger Meyer’s Burnaby Lake Park. 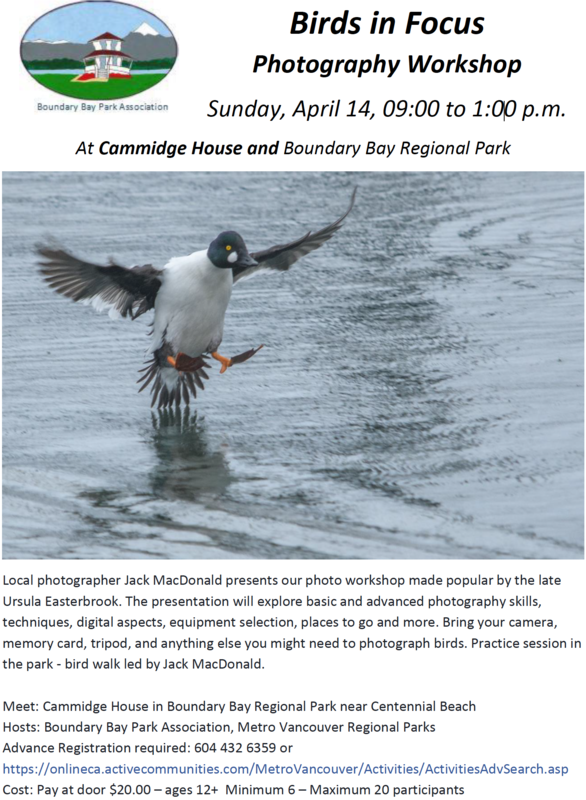 Hi-lites of the outing were: Black-throated Gray Warbler, Western Tanager, Warbling Vireo, Swainson’s Thrush, Douglas Squirrels and a forgettable lunch at a Burnaby Brew Pub. 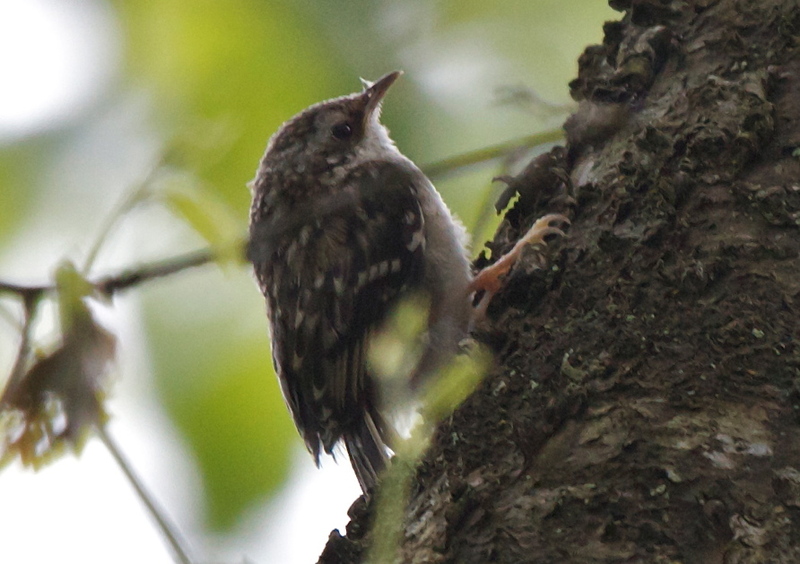 Check out Terry’s and hopefully other’s photos on our Picasa site at http://picasaweb.google.com/dncbirding. After an hour’s drive through rush-hour traffic, we got to the Nature House at Burnaby Lake Park at 8:30 a.m. and introduced the rookies to the veterans. Fortunately, Roger was with us; he was instrumental in developing and organizing this Park over the past 40 years, but more importantly, he carries the scope. We walked out the boardwalk to the quay, enjoying about a dozen gorgeous Wood Ducks, mostly males, in trees, on benches and in the water. Tree, Barn and Violet-green Swallows were hawking insects all around us. Lots of cute Goslings and Mallard ducklings around too. A couple of noisy Killdeer (our only Shorebirds of the day) landed in the colourful Iris-filled marsh nearby. Affable Richard, our earlier photographer on an Iona outing, again took our Group photo at the end of the quay. Marsh Wrens were chattering and we saw several Common Yellowthroat Warblers, Brown Creepers, Brown-headed Cowbirds and many Cedar Waxwings. Occasionally, including at the Nature House feeder, Rufous Hummingbirds posed and flashed their iridescent throats for us. Near the Lookout Tower, we spotted one of the few Warbling Vireos seen on the day. A couple of Douglas Squirrels, native to BC but we don’t see them often in south Delta, scampered around us, enjoying my peanut donations. 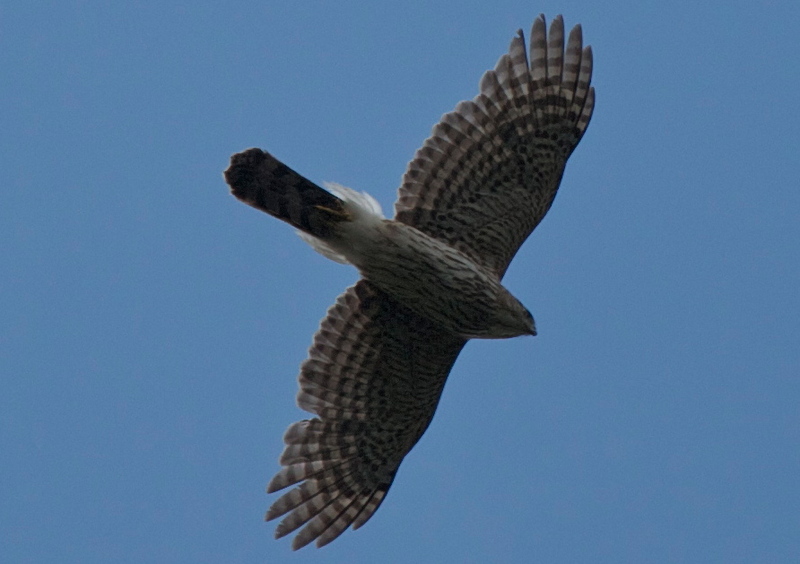 Overhead, a soaring Cooper’s Hawk gave us nice looks, but we were blanked on the Osprey. We walked the Park trails for a couple of hours and local Burnaby boy Paul showed us the spots where the neat birds are often seen, but not today (e.g. Red-breasted Sapsucker, Willow Flycatcher). 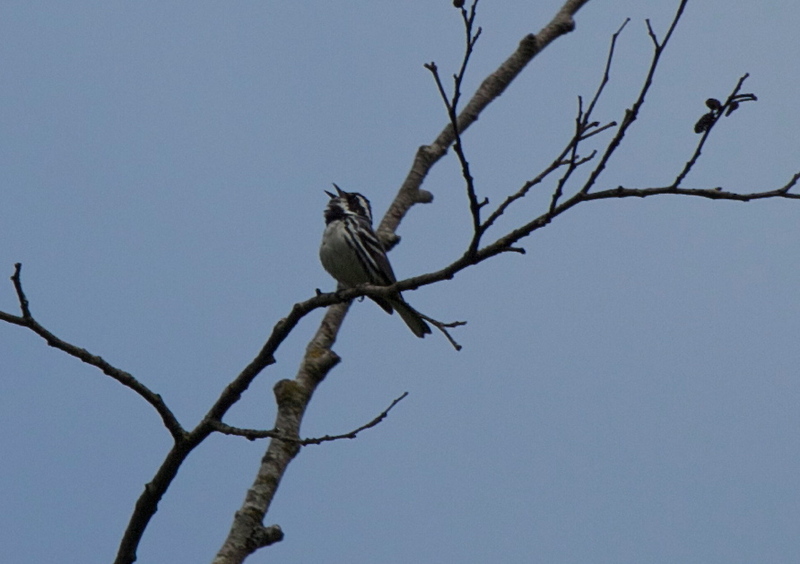 We caught glimpses of a few constantly-singing but reclusive Swainson’s Thrushes as well as several other Warbler species including, Wilson’s, Orange-crowned, and the coup de grace of the day, a singing Black-throated Gray. For us candy-birders, a brilliant Western Tanager landed and posed on a branch above us, as did a couple of Black-headed Grosbeaks. We drove to the dock/boat club at the other side of the lake where our only new species were a Pied-billed Grebe and two Northern Rough-winged Swallows. Before returning to Tsawwassen, twelve of us savoured the non-gourmet buffet at the Marine Brew Pub in Burnaby. The food was like eating cardboard and although there is no such thing as a bad beer, the micro beer I had was close. 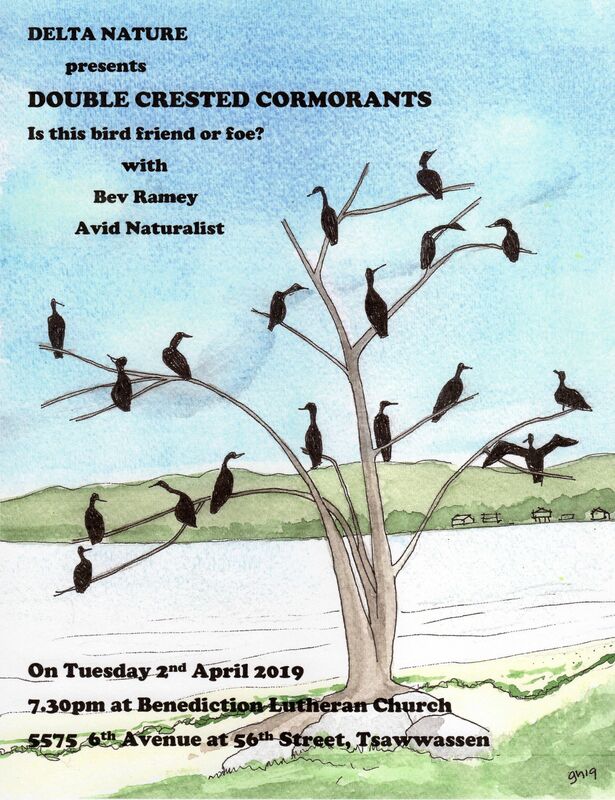 It was a super day, with lots of laughs, boring chatter and a few neat sightings. We’ll do it again next Wednesday, June 8, possibly going south to Elgin Park/Blackie Spit. 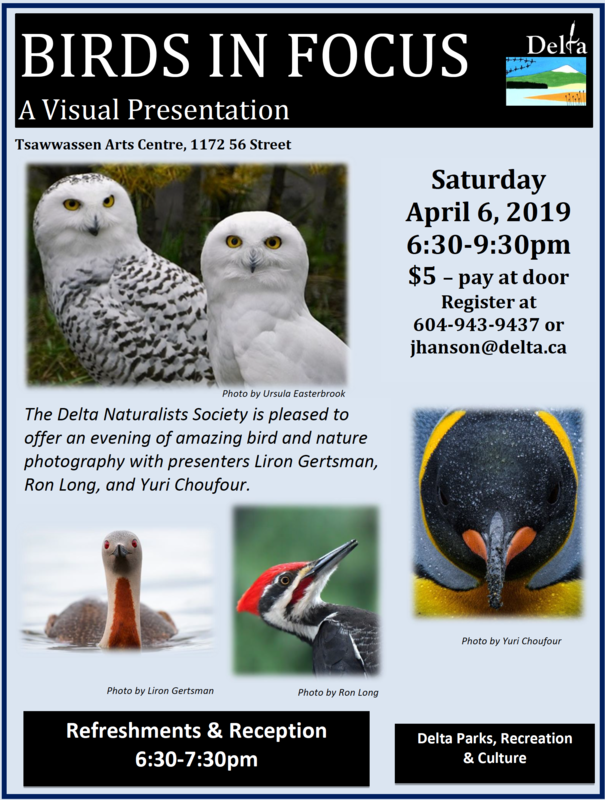 We’ll leave Petra’s at 7:30 a.m. Our next and last monthly meeting (before September re-start) of the Delta Naturalists’ Society is Monday evening, June 13 at Cammidge House with Master Bander Derek Matthews of the Vancouver Avian Research Centre (VARC) giving an illustrated presentation. Comments welcome, check out our Blog for other Reports and photos at www.dncb.wordpress.com, and please let me know if these reports are nauseating.